Always wanted to create you own movie? Well the Serif MoviePlus X6 makes it easy to edit and share your own movie! And that's a wrap! Add your own creative touch to your movies, just import your film from any device and get busy with the editing tools and effects! The software uses an easy approach to editing; the storyboard and timeline workspace make it simple to understand. You can create a themed video and add titles, effects and transitions to your pleasing. The tutorials, tips and step-by-step instructions guide you through your editing experience. You can even import high definition movies to edit and burn straight to disc or upload directly online. Special Effects Tweak your movie to perfection with the video and audio properties. Add profession picture-in-picture effects and cut to your liking, bring out the filmmaker in you! There are over 100 effects to add and 80 customisable transitions to cut with. The colour balance allows you to adjust the lighting and improve the movies clarity and reduce the noise for a crisp, professional like finish. 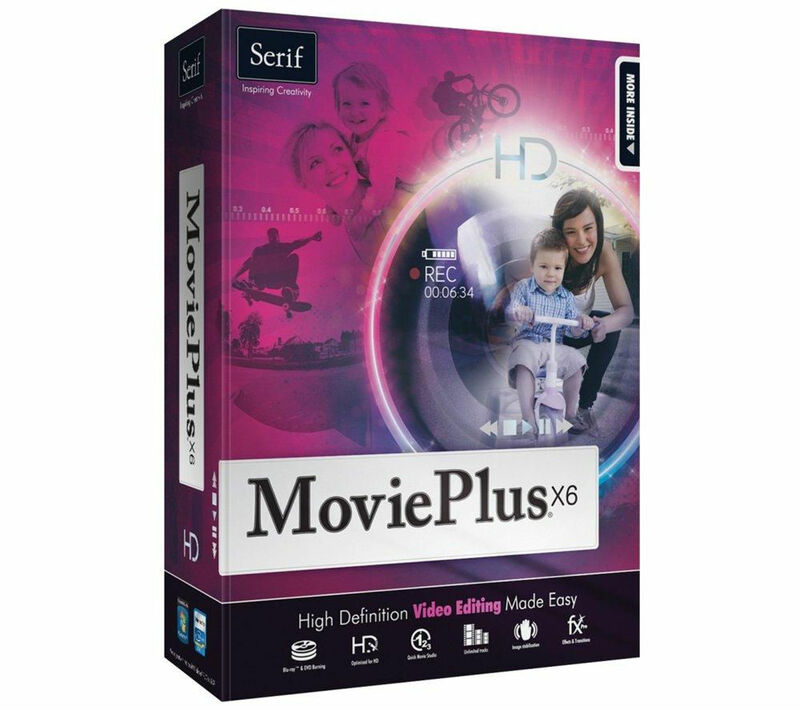 Make movie making your new favourite hobby with the Serif MoviePlus X6 editing software.